What a glorious and amazing day. The New Orleans Saints won the Super Bowl! For the first time ever at their first Super Bowl ever and with plenty of points to spare. I must be the luckiest girl in the world to have moved here this of all years. I wanted to be part of the energy of this moment and witness the biggest Super Bowl party in the world. And I wanted to celebrate before we knew the outcome, while the air was humid with optimism and newfound pride. Everyone was still high off being in the happiest state in the union when the team started showing us what they were made of. I walked to the quarters because the streetcars were down for the parades and the busses ran whenever. I knew there was a parade scheduled for the day, but I wasn’t sure when as they moved it for the Super Bowl so imagine my delight when I crossed paths with the tail end of Krewe of King Arthur’s parade rolling down St. Charles. When I got to Canal Street, there were throngs of people reaching for prized throws. The King Arthur throws (beads, toys, doubloons, etc.) are some of the best. With almost no effort, I ended up with so many necklaces that I started getting a neck ache within minutes of the parade ending. Many people come with bags and stuff them to bursting and children treat it like Halloween. You can always tell the parts of the parade routes that have no children because no one picks up the beads that have fallen in the streets unless they’re special. I walked Bourbon Street. I love the balcony dwellers who throw beads down to the crowd, the cacophony of bands and D.J.’s spilling through bar doors and out onto the packed street. 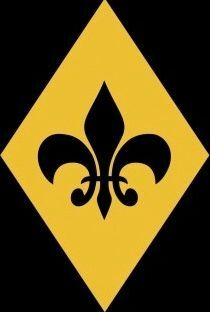 I danced in the streets for awhile knowing that, while I was alone, all I needed was black and gold and a “Who Dat?! ?” to be part of this energy. In Avatar, there’s a scene where all of the Na’vi people surround a tree like more trunk rings radiating out and undulating as mortal roots. They are all connected as one to their source, a tree that holds their memories, their history, their culture. The Saints have done that for this town, this state, these people. The Saints have reconnected us to our indomitable source, our soul. This is a place all about soul, it drips like Spanish Moss from our music, our food, our funerals and celebrations. I’m so thrilled to be here for the rebirth this city has promoted for the last 4 years. Before the Saints started winning, all of the city slogans were about rebirth. “Who Dat?! ?” is the battle cry of the reborn. Eventually, I wandered into Fat Catz, the same bar I enjoyed before we beat the Vikings. The crowd was wonderful. I made some friends. But, I stayed too long. The players ran onto the field and I headed back to Magazine Street as the Bourbon Street crowd receded into bars with televisions. By the time I crossed Canal, the streets were nearly deserted. The church bells clanged for 15 minutes until kickoff. I was still 10 minutes from home when they stopped. It was eerie. Like in a zombie movie. No people, no cars, not so much as a barking dog in the distance. Even the police watched the game (I asked). I felt incredibly vulnerable and free at the same time. I would have taken more photos of the ghost town except we all know that the one who stops to take a photo of the eerie empty streets is the first one the zombies eat. Then I heard cheering in small bursts from a few living rooms. I got the score from a bar I passed and kept moving. Zombies, you know. Other than the bar, I passed exactly 4 people in 2 miles. Maybe 10 cars. I went to the same bar I had fun at last time and made friends right away. They even offered up their bathroom next door. I ran into the actor I carpooled to Baton Rouge with and the woman I know from work whose husband owns Gott’s Gourmet Café. I don’t have to recap the game, it was the most viewed show in the history of television. Many thanks to all of you who started watching the games as a result of this blog. And thanks for all the “Who Dat’s” and congrats. The people of this city have plugged back into their soul and this city, I believe, is the soul of this country. The country united to wish us well, even the world tuned in. It’s like the Avatar tree extending to its natural conclusion – that we are all connected, we are all one. Sunday, we were all Saints, wishing rebirth for a place that has been through too much. Then, we won and this time, there weren’t tears – it was a straight up party right away. We spilled into the streets and got Crunk and hugged strangers and “Who Dat’ed” our brains out. All of the Garden District patrol and around 10 NOPD cars cruised like they were on the strip, honking their horns, using their sirens as noisemakers and yelling “Who Dat” out their windows at the drinking, dancing, hugging crowds. Some even waved kerchiefs like they were doing Second Line in a parade. A guy got on top of a bus and danced. Cab drivers, bus drivers, fireman, locals, everyone was cruising and honking through the bedlam. It was so much fun. Joy flooding the streets. All night, people came up to me with the same dazed face, the same question, “Can you believe it?” After months of hanging “I Believe” and “Believe Dat” posters in windows and on doors, no one could actually believe it happened. Pigs flew, hell froze over and 106.5 million people watched it really, really happen. The Saints won the Super Bowl. But the real party was in the streets. This was shot about a block west of the bar I was at on Magazine. More of the same complete with fire truck and guy riding a bike holding a beer in his mouth, but the party doesn’t really start until the tuba shows up. And, of course, Bourbon Street revelers. Do not assume that anyone hugging or kissing has met before. This 8 minutes was shot by some young people who traced many of my steps from this blog. They start in Uptown then drive the route Heidi and I took down St. Charles, the parade route in my neighborhood. Then they walk through the Lower Garden District, which I pass through on my way downtown (I also like to take Camp Street, the scenic route), then through the CBD (Central Business District) where Heidi and I danced all night after the victory over the Vikings. Then they go through the parade grandstands where I accidentally stumbled onto a parade earlier then to Canal Street, where the streetcar begins and ends its route. They walk Royal Street, the far more civilized street parallel to Bourbon. Then they pop back out to Canal and join Second Line on a parade. Everyone has seen footage of Bourbon Street, a 2 lane road packed with partiers, but Canal has almost nowhere to buy booze and it’s around 8 lanes wide so the SEA of people at the end is stunning. Oh, and if you get halfway through, enjoy the couple running in their underwear. A taste of tomorrow. Head Coach, Sean Payton, talks about the fans’ tradition of meeting the team at the airport after every away game, win or lose. Tomorrow, our heroes return. A parade was scheduled, win or lose, and I’m sure we’d have turned out in droves to welcome them back with less “Who Dat” and more “Finish Strong” (another of the many, many chants and sayings – you really do need a primer to live here), but I can’t wait to join in on celebrating this phenomenal team and their hard earned moment in history. Oh yeah, and we elected a new Mayor. Hope he’s a good one. My neighbor went to school with both candidates and her favorite won. Two other neighbors work with his campaign. This is such a small town kind of culture that it’s been a joy to see the world get introduced to New Orleans in such a positive light. This is an amazing city and it is a joy and a pleasure to live here and I must be the luckiest girl in the world to have moved here for this moment. Believe dat! Your description is fantastic! I feel like I’m there – I wish! Sounds so cool and so much fun! And the no people deserve this. Can’t wait to see parade tomw. Love the pix! Ps drew bree is so cute esp with his adorable baby! Great superbowl. Congratulations new orleans. Laura I’m so glad you’re haPpy and u made the right decision to move to no.